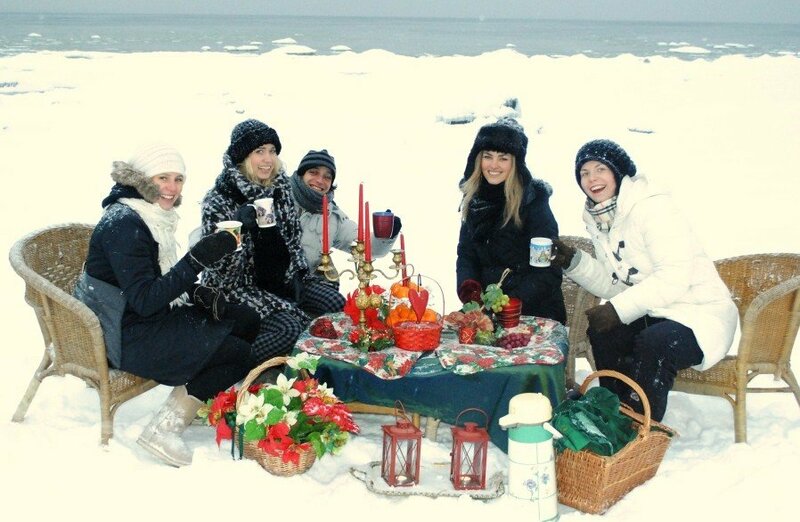 There are many ways to celebrate Christmas…One of our readers, Carmen Ceka, spent the Christmas Day with friends by Viimsi seaside, near Tallinn. We loved their idea so much that we decided to share it with you. “All of my friends who gathered together to celebrate Christmas, now live outside Estonia. But the festive season brought us all back together again, here at homeland. We decided to drink hot tea and have a little banquet just by Viimsi seaside. This was our cute way to get together with friends and enjoy Estonian winter wonderland!”, said Carmen, who works in events management. Photos and idea: Carmen Ceka.